We didn't do very much today, so let's spend some time talking about Japanese restaurants and why they're better than the ones in North America. The first thing that stands out is the hand towel they give you. Pretty much everywhere gives you something to clean your hands with, either an actual towel or just a wet wipe. Pretty nice when your hands are dirty from walking all day. The next cool thing is how a bunch of them put a button on your table that will call a waiter over whenever you want. This is particularly nice when ordering, because you don't feel preasured to decide what to get quickly before the staff come back. Plus, if you need something during the meal, you can just buzz them over and get it. So much easier than trying to catch their attention. But the best part of Japanese restaurants is probably the fact that they don't tip. This actually allows for several cool things, such as the fact that they often bring you the bill when they bring your food, which really expidites the process. It'd really be nice if more Western restaurants implemented these things. Anyhow, on to the actual events of the day. This morning was particularly early, due to the hostel we were staying at being located next to a busy road where the passing trucks were loud and shook the building, but that was in our favour anyways, because this was our biggest travel day of the trip. We had to trek all the way from the bottom tip of Kyushu in Kagoshima all the way up to Sapporo in Hokkaido. The trip was to consist of two legs: a train trip from Kagoshima to Kobe, and then a flight from Kobe to New Chitose (the airport nearest Sapporo). The thing is, Kobe is basically all the way back up to the Kansai region by Kyoto and Osaka, where we had been several days before. 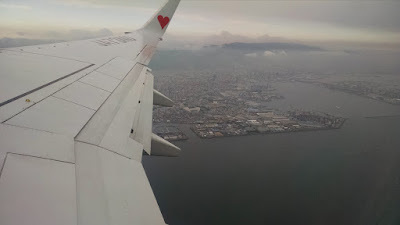 We could have gotten a flight out of Fukuoka, a city on Kyushu much closer to Kagoshima but, for whatever reason (read: it was cheaper) we decided to fly from Kobe instead. This meant that we spent 5 hours on trains before spending 2 on an airplane. Adding in transfer times, that was pretty much the whole day. The train leg went alright, all things considered. We suspect that the recent earthquake in the Kyushu region has messed with the rail schedules for the Shinkansen, so we ended up having to ride a non-reserved seating train for the first couple hours before transfering to a reserved seating train for the remainder. The issue here was that we didn't get seats on the first train for over an hour, which is not a lot of fun when traveling with fairly heavy luggage. I mean, we could set it down, but it was still pretty tiring to stand for so long. Plus we couldn't eat the breakfast we had bought until we got seats, around 11am or so. The rest of the train section went swimmingly, and I napped for large segments of the ride until reaching Kobe. 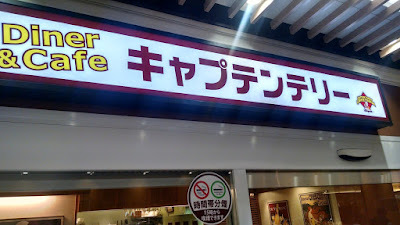 When we got to Kobe, we had a bit of time before the flight, so we search and FINALLY found Captain Terry Coffee Stadium, which seemed to neither be a coffee shop, nor a stadium. Also, it was underground. Unfortunately, we were a little short on time, so didn't eat there. In case you can't read that, it says Captain Terry (kya pu te n te ri--). The flight was pretty easy. We were flying on a Japanese carrier, Skymark Airlines, but it went fairly smoothly even though there was effectively zero English used. For this whole second half of the trip, ever since we first arrived in Kagoshima, the places we've been going have been pretty uncommon for tourists to visit (one lady even asked why we were even in that city), so the amount of English-friendly stuff has rapidly decreased. Thankfully, we haven't had any major problems because of that. So far, at least. Aside from one member losing their boarding pass and having to get another, we didn't really have any issues. Security at the airport was easy (no taking shoes off or laptop out of bag, and water bottles may have been ok too), and Skymark wasn't too bad themselves. They had window seats board first, and then everyone else, which was a nice touch. Sadly, they didn't offer anything but a hard candy as an in-flight snack, and no drinks either. Regardless, they took off on time and landed early, so I guess I can forgive them for that. I like the little heart that Skymark puts on the wings. After landing in New Chitose, we had to get into Sapporo itself, about 40 minutes away by train. Which is to say, it's 40 minutes after the train starts moving. If the train refuses to leave the station, it can take quite a bit longer, it seems. This was really our first trouble with the train system in the entire trip. A nice Japanese man on the train translated the anouncement for us, and apparently there was something the matter up ahead blocking us from leaving. Eventually it was sorted out, but the train was delayed almost half an hour probably. We eventually made it to our station (using the last day of our JR Rail Pass), and headed out into the cold rain to find our Airbnb lodgings. We got a little lost on the way, but eventually found it, and oh my goodness, it's hands down the nicest place we've stayed. One of the nicest apartments I've ever been in. It was really easy to settle down for the night in, after another 10,000 step day. This was my highlight day. I've always loved Hokkaido and Sapporo the most of any of the regions of Japan just on principle, since that's the snow-and-winter area of the country, but I'd also wondered if I would actually like the place in real life, so I made sure to plan the trip so we could visit. Now, this trip is late enough that we missed one of the most iconicly Japanese things: the cherry blossoms. 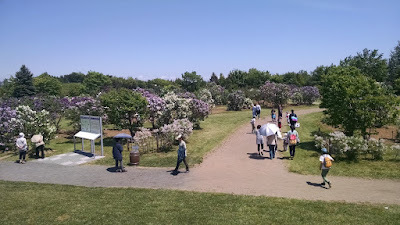 However, Sapporo is far enough north that the lilacs are just blooming now, and today was the last day of the Sapporo Lilac Festival, so that was our plan for the day. It's a supposedly big festival held in several different parks around town, so we just kind of rolled the dice and picked one. Thankfully, I can report that we totally won this game. The festival events weren't scheduled to start until around 11am, so we took it easy in the morning and lazily made our way to the park. The train lines were still suffering from some sort of issue, so we had to train hop a bit more than usual, but did make it to our stop safely eventually. The stop was a 20 minute walk from the park, but this was possibly the nicest weather we'd had the whole trip, so it was no issue. Bright sun, no clouds, cool wind, and a high of 20. Doesn't get any better than that. It was the perfect weather for a festival in the park, and the people there seemed to agree with that assessment. There were hundreds of people there, spread out enjoying the things you can do there. Families in tents on the field, kids flying kites, people cooking food on a portable grill, live music, and of course, people wandering among the lilacs. Even with all those people there, none of us saw even a single other foreigner, which was honestly kind of nice; this wasn't a tourist trap, it was actually a local festival, and we got to enjoy it with them. It's a special kind of feeling. The real grass mini golf course. It looks so nice. We started off by exploring the park itself, which was way cooler than any park I've been to in North America. Seriously. Not only did they have a massive play structure for kids, but it had a zip line! A zip line! So cool! 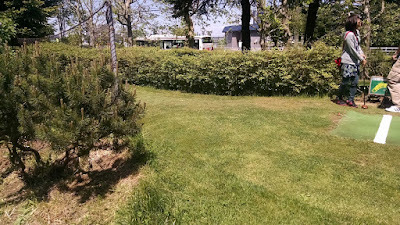 And for bigger people, there were not only tennis courts (cool in and of themselves), but there was a mini golf course. But it wasn't like an American one, with plastic grass and stuff, this was an 18 hole course around the park on real grass, maintained like a real golf course! You could rent clubs and balls there, and the balls were more like boccie balls than golf balls, but that's still way cooler than the fake plastic stuff. They even had sand traps! 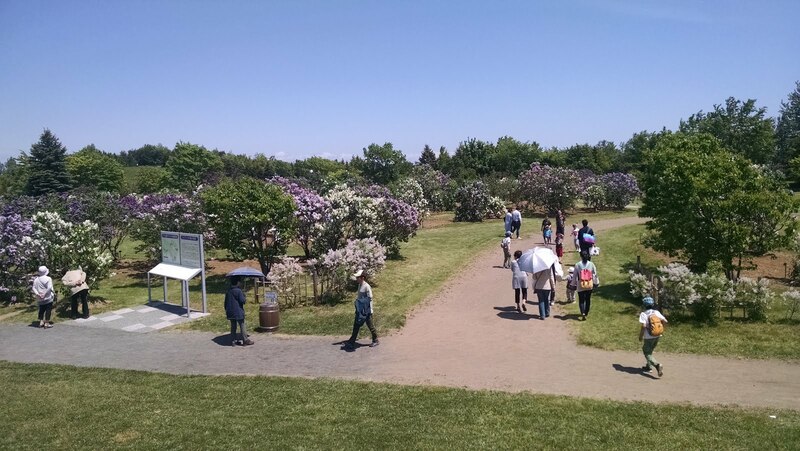 Of course, the centerpiece was the selection of a few hundred types of lilac bushes planted, which were in full bloom and smelled wonderful. I haven't been home in the spring for quite a while, so it's been some time since I smelled lilacs, and it was lovely to do so again. So calming to wander among the trees, too. By the time we finished exploring the park, the live music had changed acts. When we had arrived, it was a group of older guys I think, playing older rock-ish songs or something. Beetles-era, maybe. 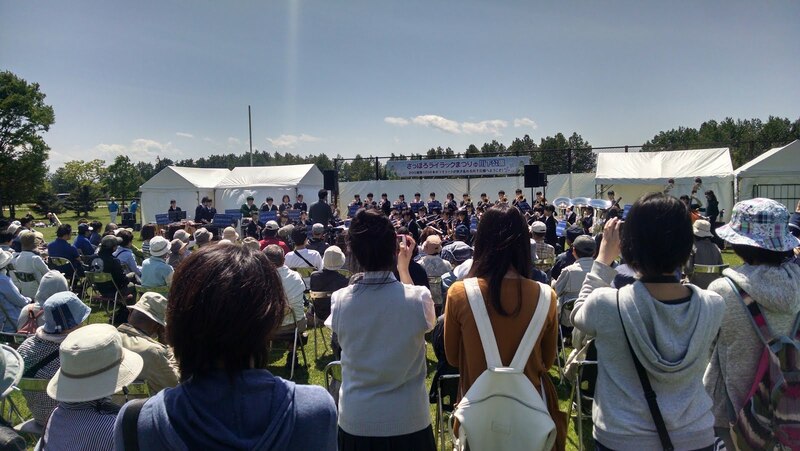 They had finished, and now a much larger band had taken the stage: the Shiroishi High School Symphonic Wind Ensemble. We stayed to listen to their entire set, because they were really good. It's been a while since I heard live music like that, and it was a nice treat to get to hear it here in Japan. The only song I knew was Supercalifragilisticexpealidocious, but that sort of thing happens in the US too. I have to say though, few things remind me of Sound! Euphonium more than seeing a Japanese high school symphonic wind ensemble play, including seeing that character from the show back in Kyoto did. These kids were good, so again, mad props to them. I know it's not a great photo, but that's the Shiroishi High School Symphonic Wind Ensemble there. When they wrapped up, we decided it was time to take advantage of the ultimate festival experience: the food. There was a stall selling grilled meat, but I was far more interested in the one with the fried food next door. 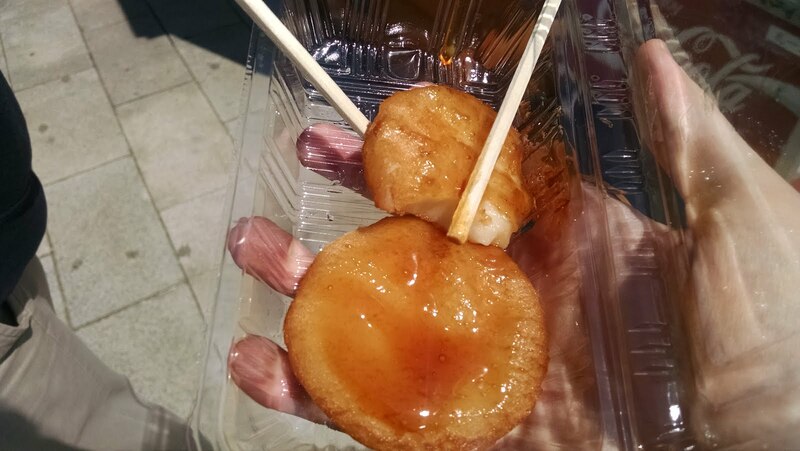 There, I got to try some takoyaki (fried octopus ball), one of the most common festival foods in anime. It wasn't horrible by any stretch, but one was pleanty for me for the next decade or so. What I really loved was the "imo mochi", or potato mochi. It was deep fried and covered in some sort of liquid sugar, and it was delicious. Apparently it's a Hokkaido thing, where they replace the rice flour part of mochi with potato starch, but all I really know is it's crispy and gooy and sweet and wonderful. Festival food really is the best thing ever. As we were eating our food, a new act came on stage. It was a duo that played / sang some sort of electronic music, almost vocaloid sounding. They were really good too, but we didn't stay to listen. We were going to spend the rest of the afternoon at the Historic Village of Hokkaido and, for whatever reason, we decided we were going to walk there. An hour and a half away. 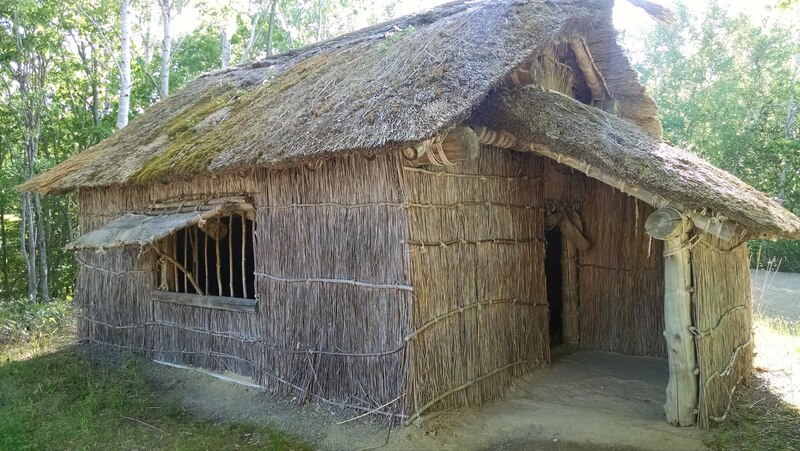 After being on our feet at the festival, we were going to walk an hour and a half to a replica village that you walk through, and somehow all of us figured that there was nothing the matter with this plan. There must be something wrong with us. To be fair, we were in a pretty rural area, so public transit wouldn't have saved much time itself, so I guess it seemed like a good idea at the time. I think we must be broken. At least the scenery was nice. 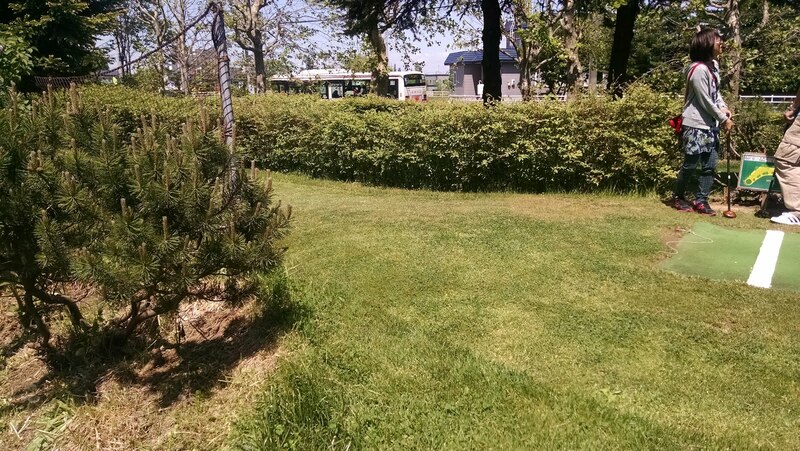 We hadn't ever really explored a rural area of Japan before, so that was something new. We eventually made it to the park with the village, with about an hour and a half to go until closing time. Unfortunately, due to that time constraint, there wasn't much time to actually see the village in much detail, but we did walk past pretty well every building, and we picked a few to wander around inside of. A lot of the places did the traditional Japanese thing of asking you to take your shoes off in the entryway and giving you slippers to walk around the inside with. The problem with that is that my shoes aren't really designed to be slipped on and off very quickly, so any time I wanted to explore the inside, it was a bit of a time investment. This led to just exploring the entryway of several buildings, but since we were pressed for time anyways, it didn't really matter I suppose. It was pretty fascinating though. These were mostly replica buildings from the Meji and Taisho eras (mid 19-20th centuries) when they lived quite differently from now. There were also some cosplayers doing a photoshoot that we kept bumping into. This was probably the oldest looking building; most were brick or something. We stayed until closing time, and then we headed off back towards the center of town (taking a bus this time) to find dinner. 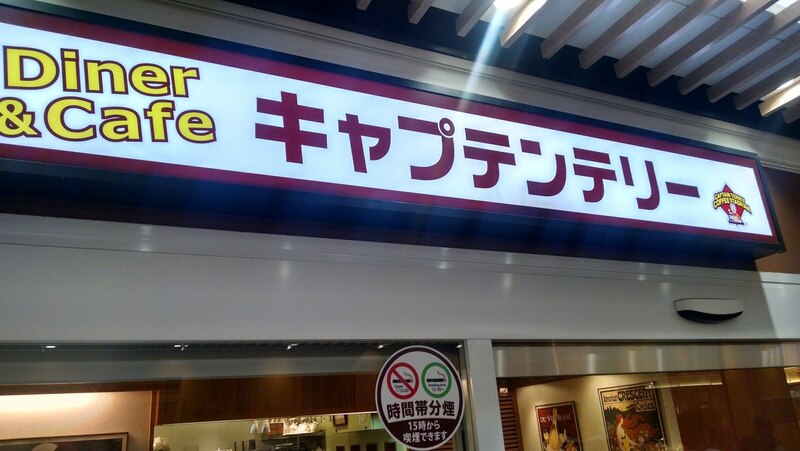 We found a place on Google that, once again, we could not find on the street, so after asking at the tourist information place, we were sent to a super expensive grill-your-own-food place. 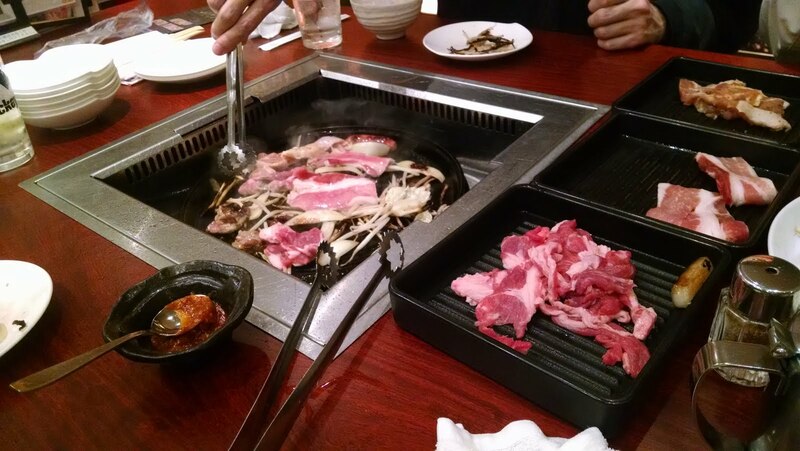 Not Korean BBQ this time, but Japanese style. No idea what the difference is though. Anyways, we decided to get the all-you-can-eat of the spicy chicken, pork, and (my favourite) lamb. It was really good. I have no idea how much I ate, but I got my money's worth for sure. All-you-can-eat is pretty amazing like that. Ladies and gentlemen, this is what $30/person looks like. After the meal, we just headed back to our accommodations. Turns out, I got sunburned for the first time this trip, so you know it was a nice day for sure. The 30,000 steps we walked probably played some part in that too though. Tomorrow is mostly another day in Sapporo, with a bit of travel to Tokyo at the end. It's unfortunate, but the trip is coming to a close; I'll be sad to go home.